David and I both have a passion for travelling and that is something that we really try to embrace as a family and hopefully our kids learn to also love. It’s easy to put off travelling until your kids are older because it’s more work with them at this age, but the memories we make with them at this adorable phase of life make it all worth it. 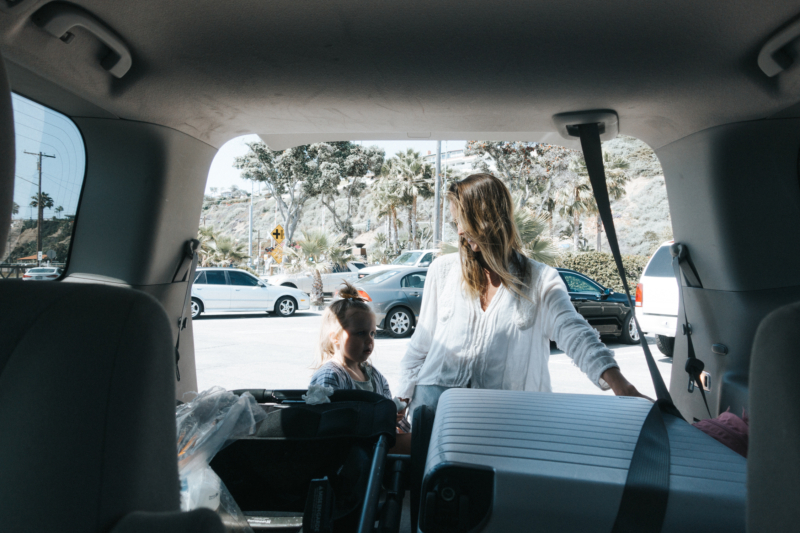 There are ways to make travelling with kids easier, for example you could hire a private jet with Jettly to avoid the disapproval of any fellow passengers. We all know that travelling can be a stressful process, from booking the trip to packing and trying to get to the airport on time. Try doing all this with kids. A while ago now, we went on a family trip to the Philippines, which was amazing thinking back. But without being recommended that we looked into something like travel operators Philippines, I don’t think the trip would have ran as smoothly as it did. It’s just these little tips and tricks that you need to make any holiday a success. Seeing new places through their little eyes is something special and trying to explain distance and different places to a 3 year old is definitely something funny. On our most recent trip, Poppy asked us every couple hours if we were still in California. A good family outing in California is with san diego whale watching cruises that depart all year round. 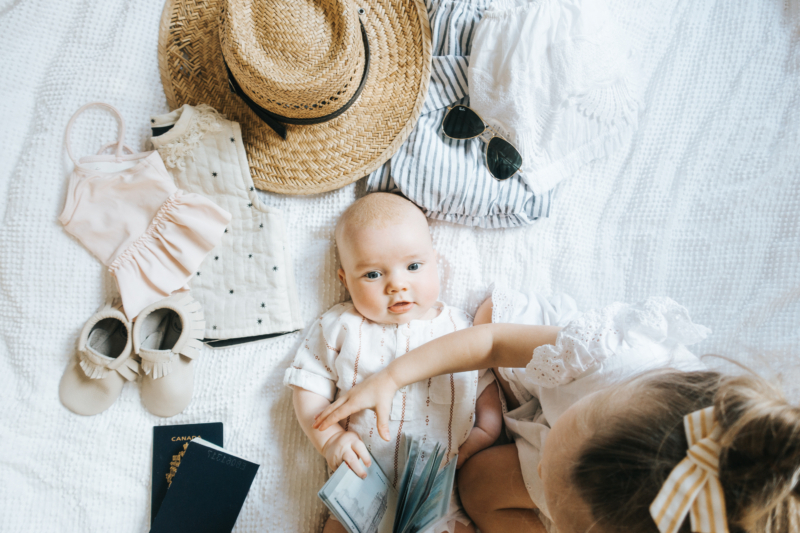 It’s also easy to put off travelling with littles because it’s not always an easy stage of life to spend extra money, but when we travel we always use our American Express rewards points. We seriously encourage our friends all the time to sign up for an American Express Gold Rewards Card because it’s cuts our costs way down being able to cover a plane ticket or two with our rewards. The Gold Rewards card is the most flexible travel card, so you are able to plan your trip how it best fits your family. It’s consistent and dependable, they offer a reliable program for booking flights so that there are no surprise fees or limitations. I think a lot of parents are afraid of taking their kids on airplanes, but you just have to think what’s the worst that can happen… At least when it’s over you’ll be on vacation! 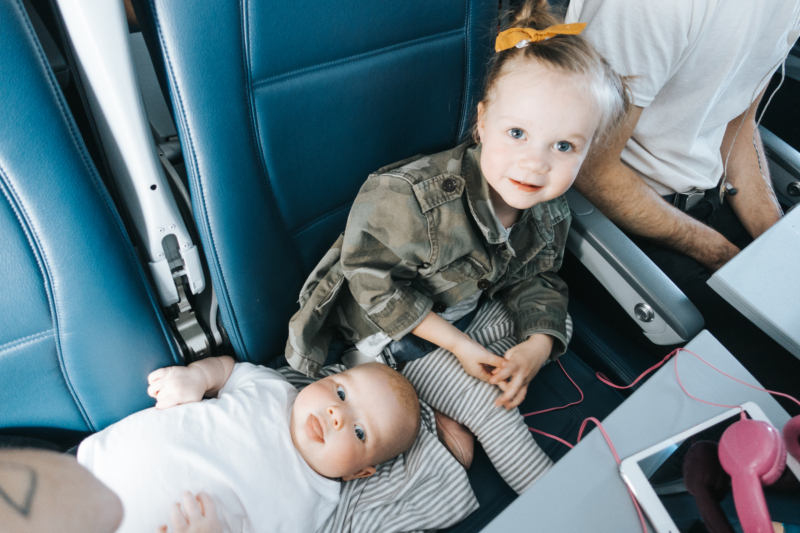 I shared a few of my tips for travelling with toddlers in a post recently. 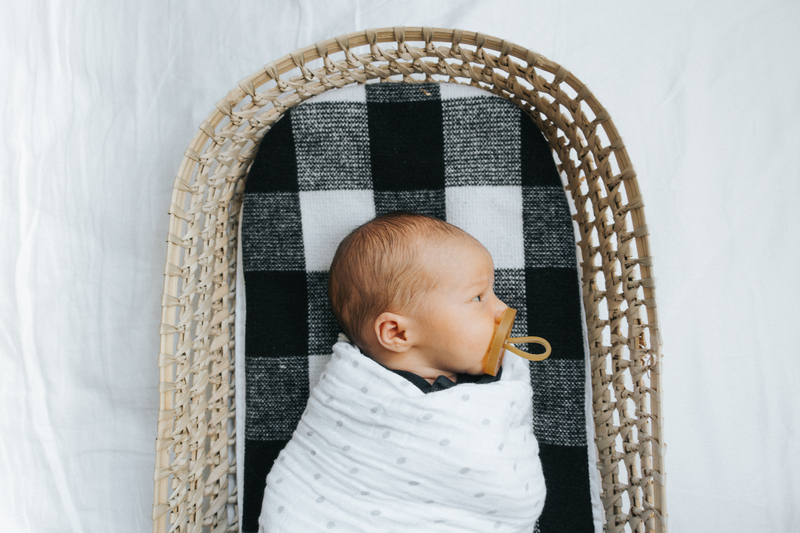 Statistics show that Canadians are travelling more now with their families than ever before, over 90% of Canadians currently travel with their children. They actually believe that travelling with your children at a young age makes them more curious/adventurous about the world, more aware/receptive to other cultures, that travel helps a child’s development, social skills, and can make them more creative, passionate, and emotionally open. More about family travel here. With the American Express Gold Rewards card you receive 25,000 Membership Rewards points as a welcome bonus with $500 spend in first 3 months of your Card membership and earn 2 points for every dollar spent on eligible travel and everyday purchases (gas stations, grocery stores and drug stores) and 1 point for every dollar spent for everything else. You can also book on American Express Travel and you’ll earn 1 additional Membership Rewards point for every dollar you spend on hotels & cars. Some of the benefits of the Fixed Points Travel Program is literally how stress free and predictable everything is – absolutely no guesswork, since the number of points required is the same every day of the year! Booking flights on the Fixed Points Travel Program is also amazing for any last minute travel plans – you don’t have to worry about last minute fares or booking at peak times such as March Break or summer holidays, you can book up to 24 hours before departure (even direct flights!) and still be charged the same number of fixed points. 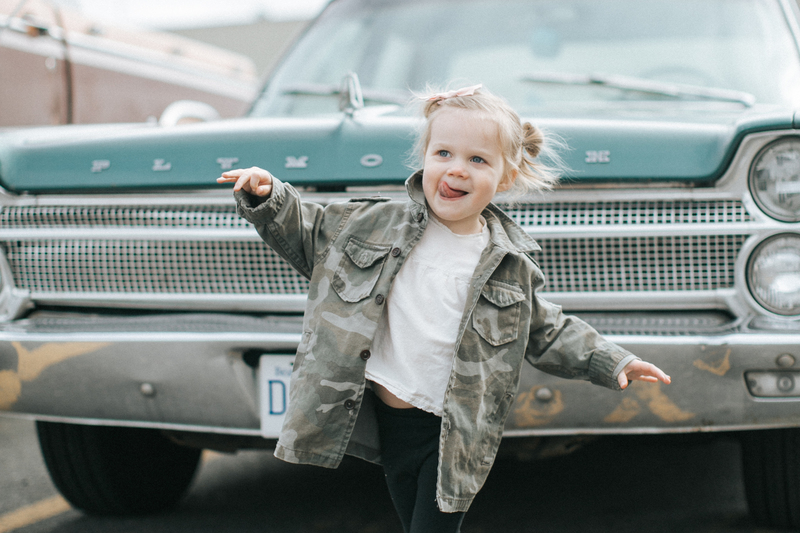 The Fixed Points Travel Program from Amex definitely helps with budgeting, making family travel possible and the planning process a breeze. 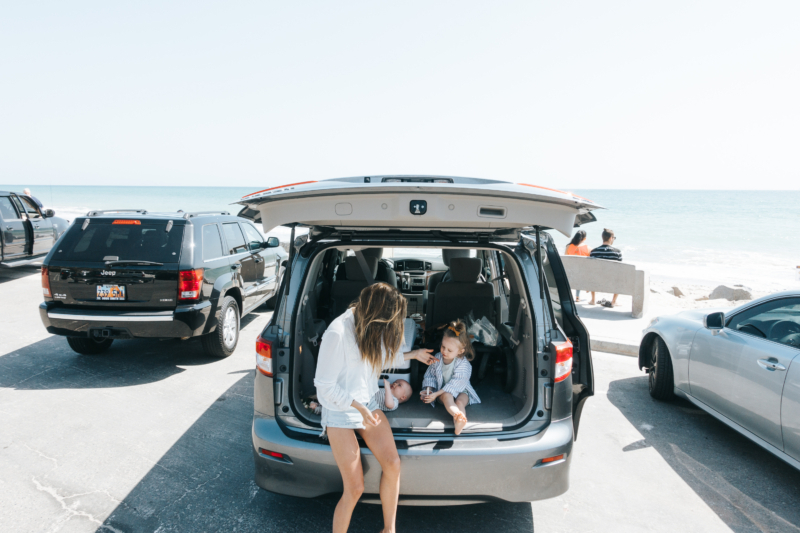 We love to rent a car and explore when we travel, we allow for lots of stops with the kiddos to stretch their legs, and have a snack, I definitely don’t mind when the stops look like this! This post in partnership with American Express. How do you edit your pictures? They are literally always perfect!